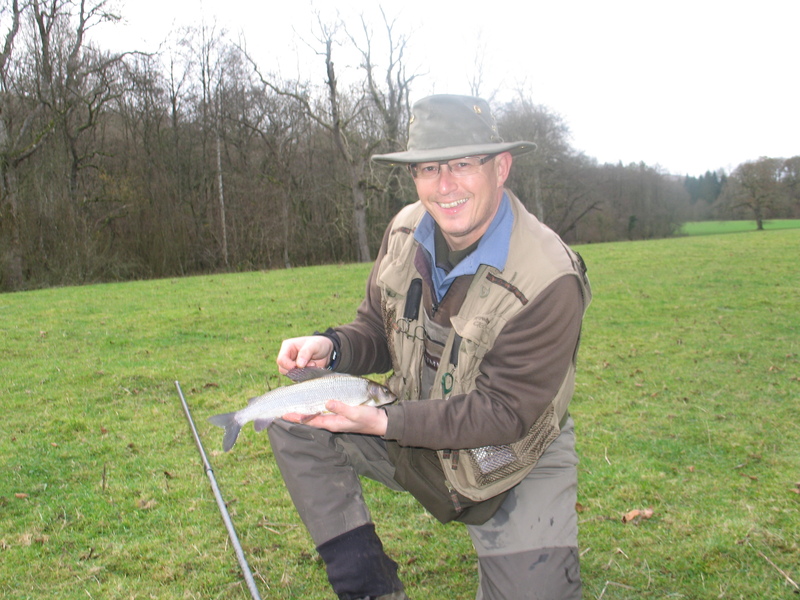 Andy Frances kindly gave the green light to me arranging a grayling fish-in for the guys on BFW. 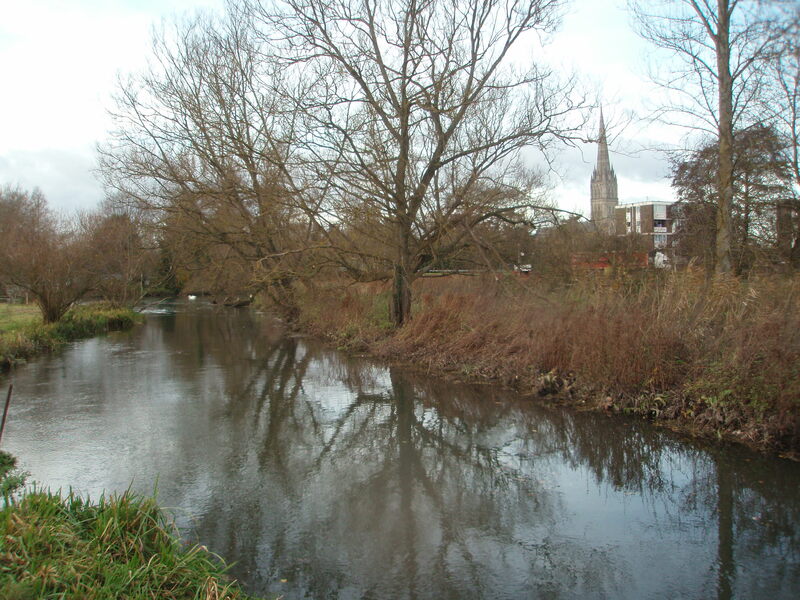 A good, central location was needed and so Britford on the Hampshire Avon at Salisbury was selected. 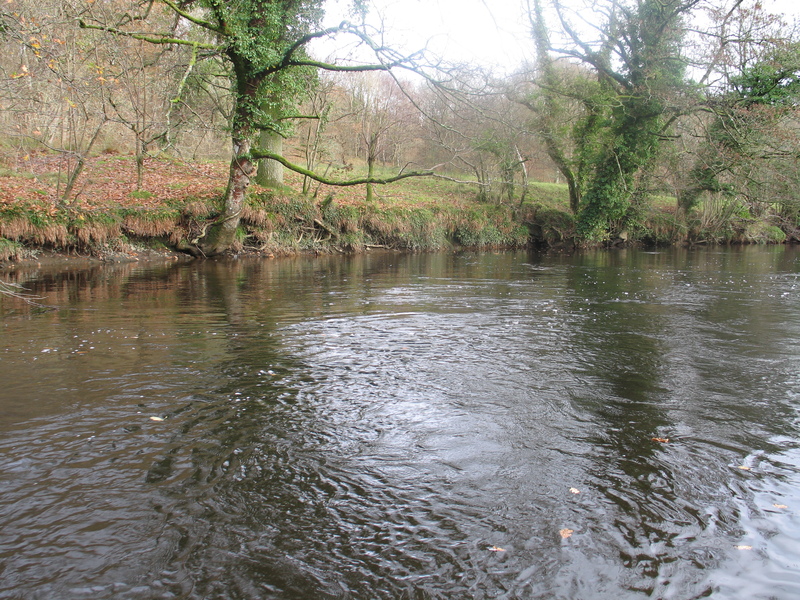 We just had to hope the weather was kind to us and that the river conditions would suit our target species. Luckily the weather was good and river conditions were excellent. Sadly on the day a very cold, strong wind made things a little tricky but certainly didn’t deter those that attended. The idea was for me to arrive at Britford around 7am and prepare the teas and coffees for the attendees. Of course these things always have to have some degree of disaster and so it was, through bad planning on my part, that we didn’t arrive until 8am!! Still a few remained for a cuppa, whilst the others headed off to start their campaign. We had a reasonable attendance, with around 15 of us. The cream of the crop you might say. Then again you might not! It was good to see some familiar faces and meet a few new ones. That’s the great thing with these sort of days. You can put names to faces and create a much more friendly atmosphere on the forums. Stuart Wilson was on hand to take our money, oh and give help and advice to those that wanted it. He’s an absolute star and couldn’t have been more helpful and I’ve got a bottle of malt whisky to give him the next time we meet, well if I haven’t ‘enjoyed’ it by then. So we all headed off to target the grayling or roach or chub or dace, whichever you wanted or ended up with. Reports kept coming throughout the day from different sources. It was proving to be tough, probably due to the cold, strong wind making float presentation difficult. Before I’d even left the carp park young Mt Tucker (chubby to his friends, although I can’t think why) was into a pike on the dead bait gear. It turned out to be a feisty jack of about 6lbs. I headed off upstream to feeder fish the carrier, hoping for a few roach. Sadly I gave up as the tip was just bouncing around all over the place and it was almost impossible to detect a bite. So I headed off to the main river and started to catch pretty much straight away. 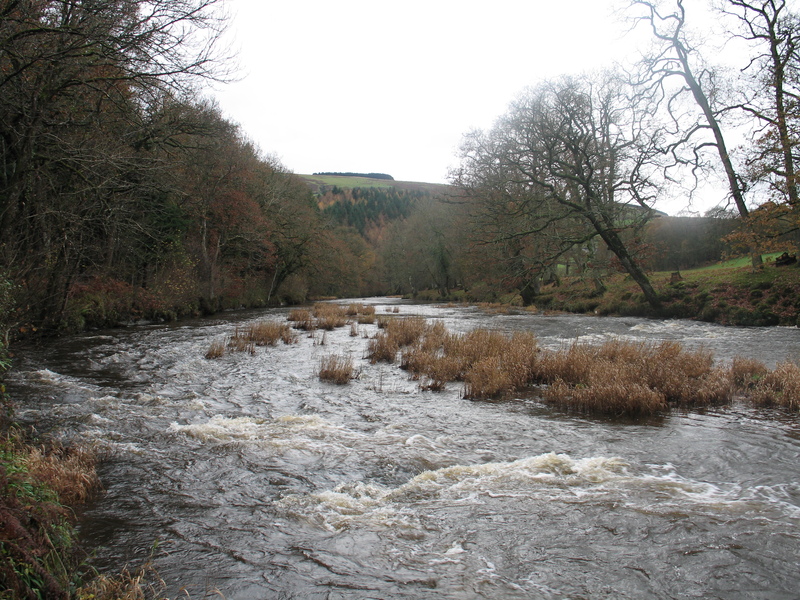 Wading does make a big difference here as you can target the runs that are difficult to fish from the bank. So I ended up with 10 grayling to maybe 12/13 oz, 25-30 dace to maybe 8 or 9 ounces and a chub of around 2.8lbs. On returning to the carp park we all gathered to share the successes and stories of the day. Ian T ended the day with 4 pike to 11½lbs and Crooky a couple of jacks and some grayling and bits on the float. It sounded like pretty much everyone had a good day with the likes of Medway Kev taking 13 trout to 4lbs (ish). Perhaps the days top rod award should go to Graham Elliott who we all know is a barbel angling God and proved his angling skills by taking 5 good chub and a roach of 1½lbs. Sadly though he lost a very big roach, which fell off the hook whilst heading to the net, as they have a habit of doing unfortunately. He estimated it to be about 2½lbs. I think it was Steve Sorrell that had over 90 dace including some very good fish too. So we headed off to the Bull Inn at Downton for a pint (courtesy of Mark Nicholls, what a gent) and a bite to eat. The usual fishing banter ensued, perhaps a little lighthearted mickey taking but above all a nice end to what was a really enjoyable day. 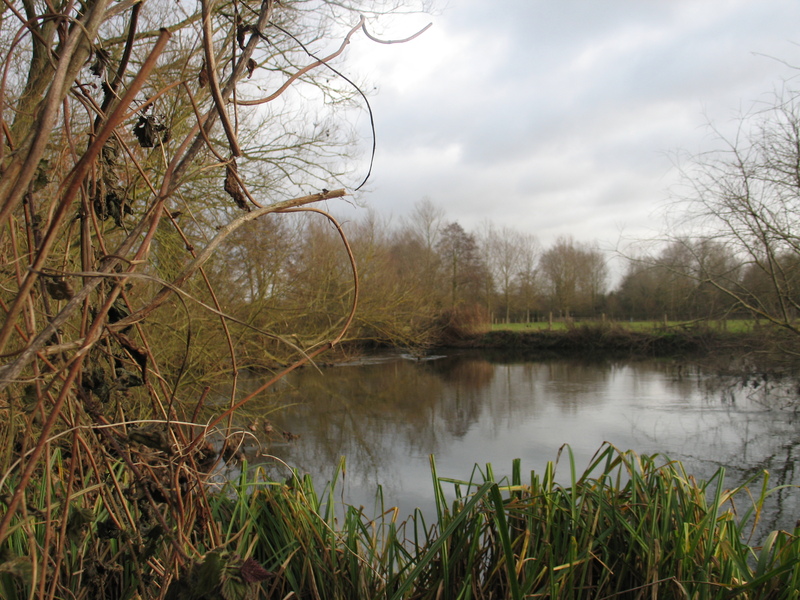 A blanking we will go…..
With the recent run of mild weather, Geoff and I both felt it was worth taking a break from the usual winter roach/grayling fishing and having a bash at the barbel again. So on Wednesday we headed to Aldermaston on the Kennet. It was a bit colder than earlier in the week and the wind was biting. The river looked good. It had a touch of colour and looked to be up since our last visit back in about October. I opted for a mobile approach whilst Geoff decided to stick it out in one swim. I went for the boilie and paste wrap method and I think Geoff swapped around with baits a little. He also used two rods to my one (although I did use 2 in one particular swim). I ended up fishing four swims, all with similar results: bugger all, the same as Geoff but at least he didn’t trudge up and down the river all day, like what I did! I had one halfhearted bite, which was probably a chub, otherwise the only thing moving the rod tip was the gale force winds! I suppose the highlight of the day was seeing a couple of Red Kites wheeling overhead and a couple of Roe deer in the adjacent field. However it got progressively colder as the day wore on. By early evening it was bloody freezing, so we packed up and headed to the Reading services for some well earned fish and chips. Well, we had to get something remotely fishy in the end. 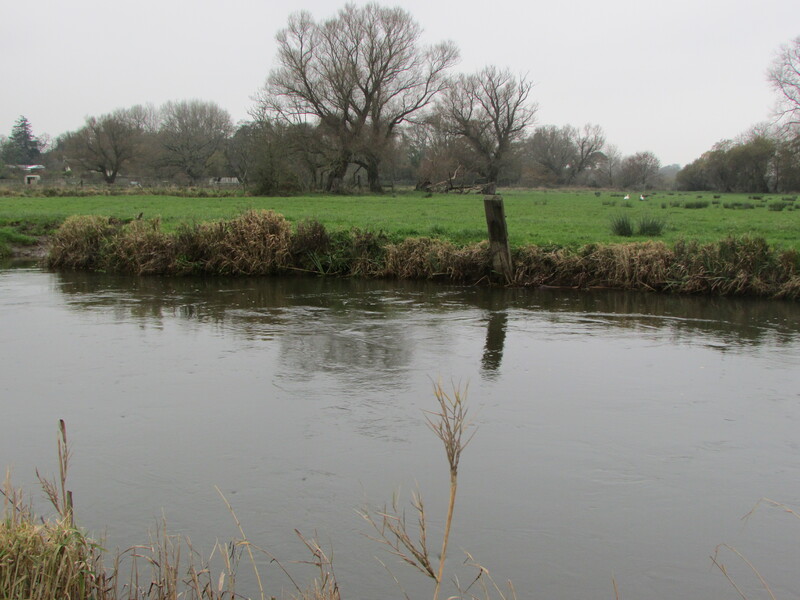 The rain of the previous day was bound to have an effect on either water clarity or levels, if not both. Luckily the river didn’t rise but it was very coloured. We were at least heading to a stretch that we were familiar with. 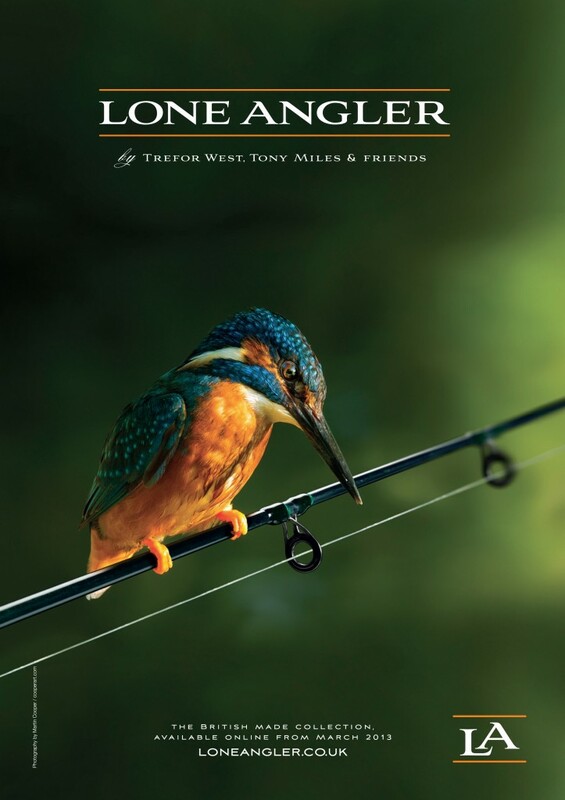 Over the next three days we would be fishing a stretch of approximately 2½ miles in length. 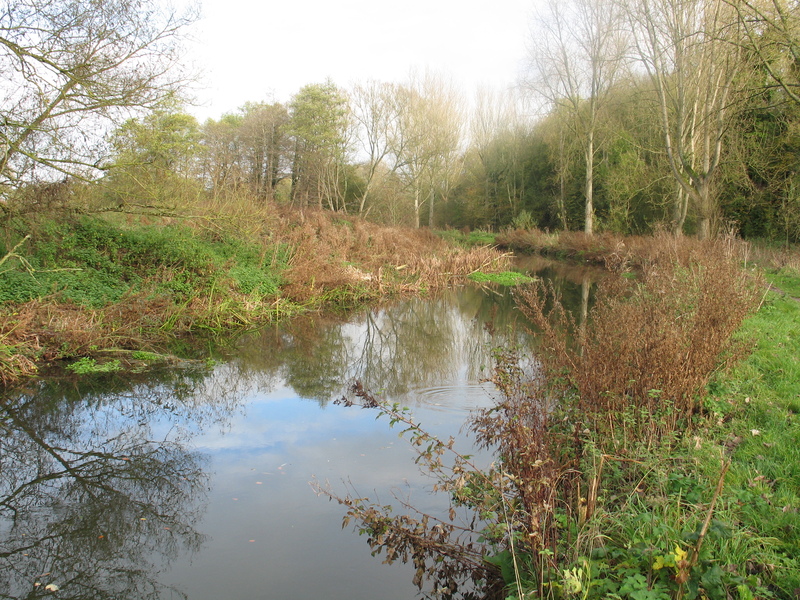 This is a tributary of the Wye and is home to some very good grayling fishing. Due to the wet conditions, access to either the middle or lower car parks would be virtually impossible. So we parked at the very top of the fishery. This would involve a considerable walk to some of the spots that we hoped to fish but at least we might walk off a few of those breakfast calories. Over the following few days we walked pretty much the entire fishery a couple of times a day, or at least that’s what it felt like. This section sits in a beautiful valley, surrounded by hills. It really is God’s own country. With Red Kites, Buzzards, Ravens and dippers, there was plenty to keep the ornithologists amongst us quite engrossed. The weather had improved although it got very breezy as the week went on, which made for quite a challenge. The idea was for the four of us to explore and hopefully find a few hot pegs, as well as fishing some that we had already discovered in the past. We found ourselves leapfrogging each other up and down the river. Wading on the first day was made a little tricky due to the colour but we all took care and encountered no problems. Over the next couple of days the colour dropped out and by Thursday, viability was much improved. We all did reasonably well, taking lots of good quality grayling on all three days. 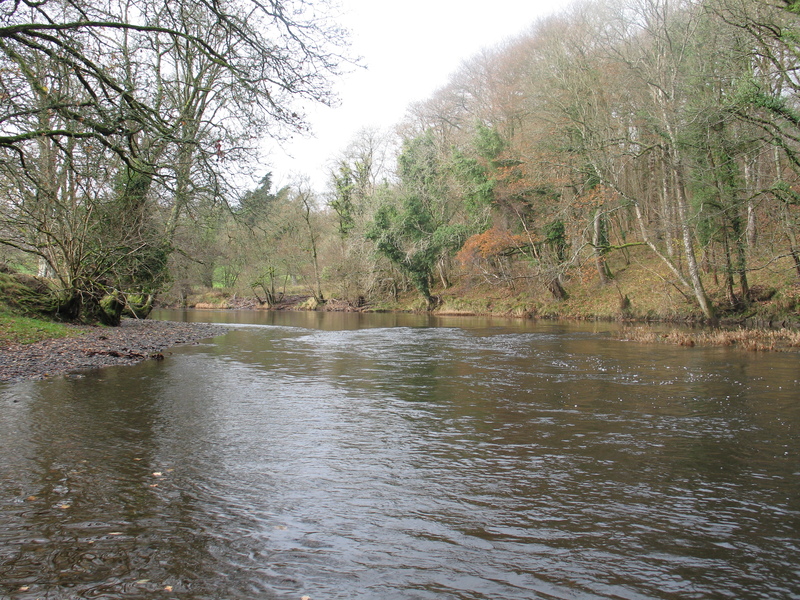 We found some very good, productive spots and visited some old favourites, with all providing a few decent fish. I would say the vast majority of the grayling caught were between 1lb and about 1lb 12oz, with a lot around the 1lb 8oz mark, so a very good average size. 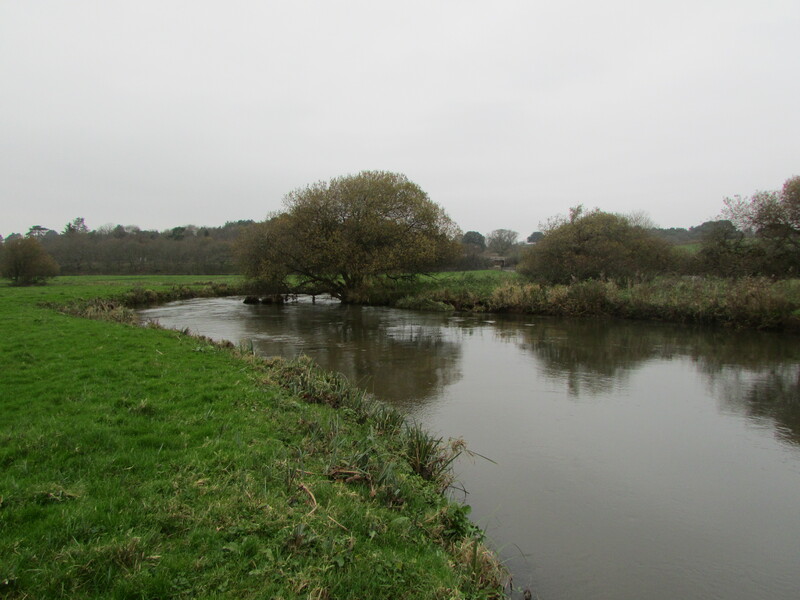 The sort of quality you would once of expected of the upper Kennet, Hampshire Avon, Test and Itchen. 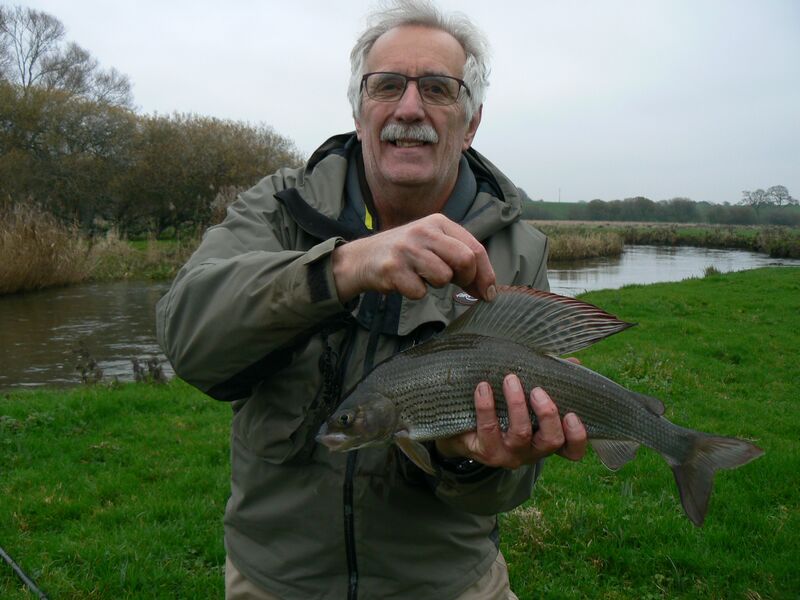 I think most days we each got into double figure catches but again the gold medal goes to the Grayling King: Geoff. 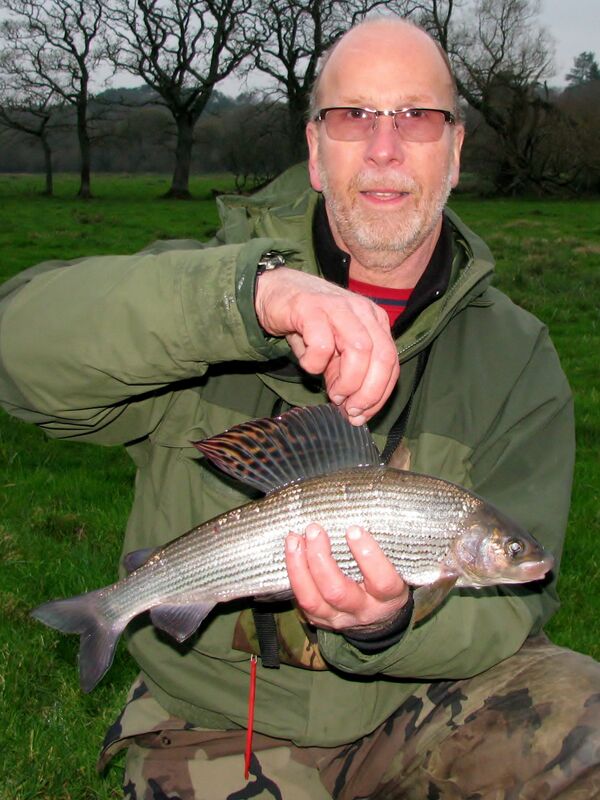 His best day was 28 grayling to 2lb 1oz, so congratulations and you’re not coming on the next trip Geoff. Dan, Kevin and I all caught well but couldn’t quite emulate Geoff but did end up with 16 or 17 on at least one day. Oh and we also managed to get the cars stuck in the mud on the middle car park track. It’s probably about 1/2 mile long and quite narrow and slippery, with a few sheer drops. I got stuck about half way but miraculously managed to reverse my way back up the slopes and out of trouble. Kevin was stuck right at the bottom but a little bit of brute force on Geoff’s part got him moving again. Never get complacent or blasé about winter tracks, even when they are mainly gravel! So we ended our three days here having enjoyed some pretty hectic sport at times, despite the poor conditions. Luckily swapping baits and playing around with the set-up and holding back quite hard on the float, all helped to make the most of the difficult conditions. We thoroughly enjoyed the venue, as always. There is such a mixture of features to fish. Lots of riffles, islands, gravel runs and glides, deep pools and slacks that you are kept busy just exploring. The scenery and wildlife further enhances what is a truly memorable experience. 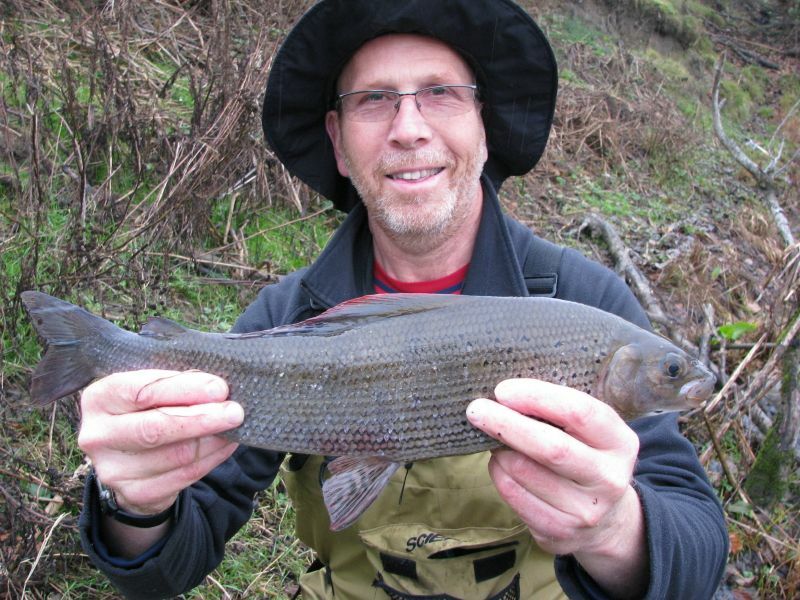 Grayling fishing is a real passion of mine. I thoroughly enjoy those crisp, winter mornings when the ice sparkles in the sunlight. We haven’t had much ice of late and that’s possibly not a bad thing, especially considering what happened around this time last November. The weather of late has been pretty mild. 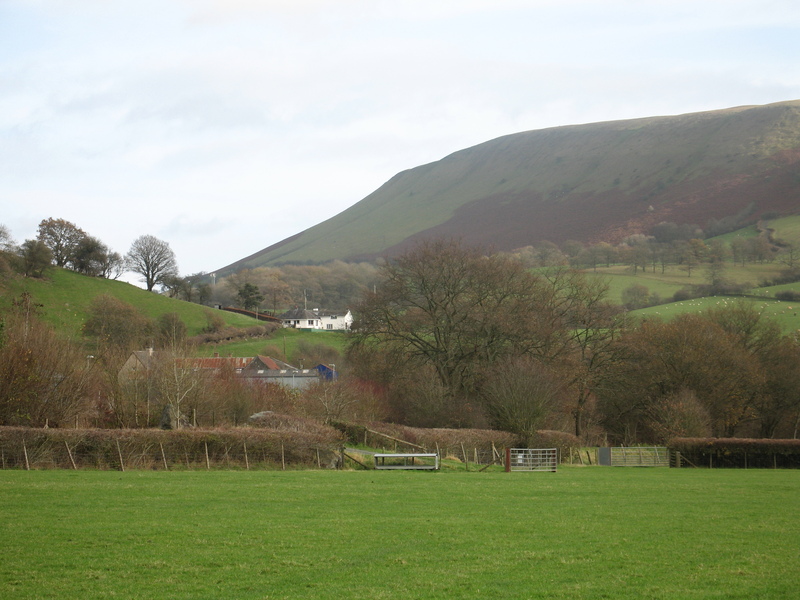 Four of us had booked a cottage just outside of Builth Wells and we were treated to yet another superb property of the very highest standard. The owners; Richard and Jane, were wonderful. We joined them for breakfast at the farmhouse on 2 mornings. Oh boy, what a breakfast. A full Welsh cooked breakfast on both occasions. Two rashers of delicious bacon, 2 Welsh sausages, 2 beautifully fried eggs, fried bread, mushrooms and tomatoes, plus toast, cereal and some excellent Welsh tea. God knows what my cholesterol is like now! I have to say it was possibly the best cooked breakfast I’ve ever had. Anyway enough of the food already. On to the fishing. 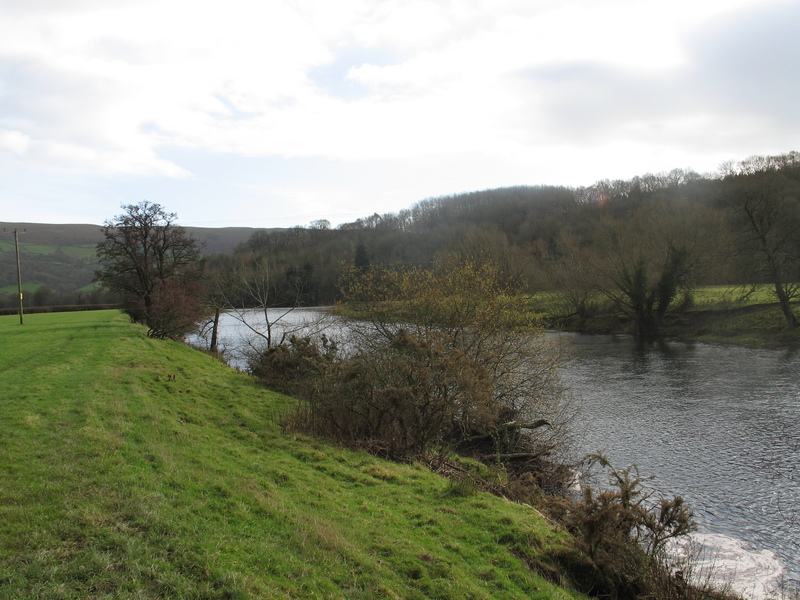 We were splitting the week between two rivers-the Wye and one of its tributaries. 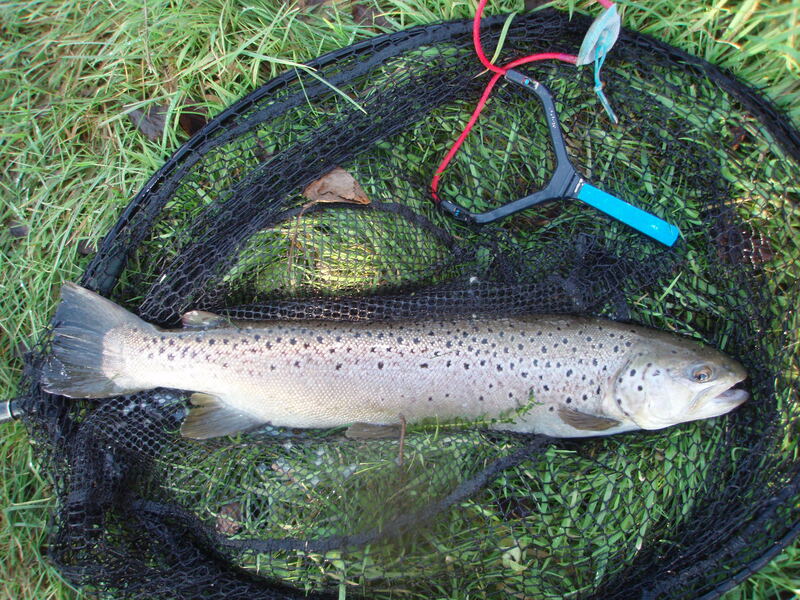 Both rivers can be fairly prolific and both can produce big fish, given the right conditions. Sadly on the Sunday night prior to our arrival the skies had opened. Still, on arrival we found the Wye in good sorts. It was quite a wide stretch, with a mixture of the usual shallows, deep glides and runs. It looked good for wading, which we all enjoy. The weather forecast was for some heavy rain, but at that point we seemed to be OK. This is quite a long stretch and it was time to explore. 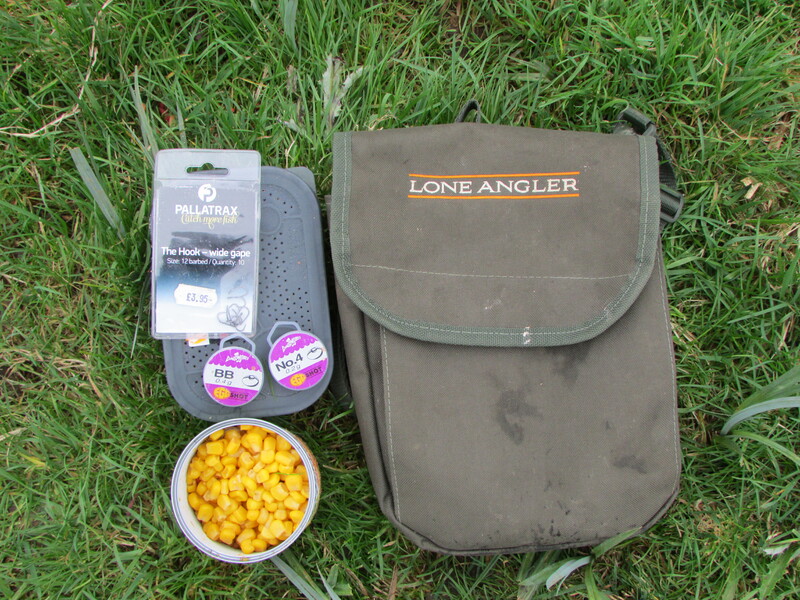 The fishing is simple trotting tactics. Between the four of us I’m certain our set-ups were pretty much the same. Rods were 14′, centrepin reels, mainlines of about 3-4lbs, floats in an assortment of styles but all around similar weights. Baits were to be maggots, worm and corn. We each found a swim to our liking and the fishing began in earnest. I find this sort of fishing so exciting. You really don’t know what to expect. On these particular stretches there is always a chance of a really big grayling and that’s what we all hoped to come into contact with over the next 5 days. I waded out about mid river and fished a fast run about 3/4 of the way across. Sadly I only had 1 bite and that resulted in losing what felt like a very good fish. At this point Kevin wandered upstream to tell me he had just caught his first grayling. It was a magnificent fish of 2lb 10oz! Wow, what a start. A new PB for Kevin and a tantalizing glimpse at what this part of the Wye has to offer. What other unknown monsters swam in these waters? Sadly at this point the rain started. It got worse and worse and rained pretty much for the rest of the day. We were all soaked through and so packed up a little earlier than expected. I think we all caught some nice fish. Geoff caught the most, with around 16 or 17 I think. The rest of us mere mortals managed considerably less but they were all a good average size. Most of the fish seemed to be in the 1lb-1.8lb bracket. So it was off to the cottage for a spruce up followed by a very healthy fish and chip supper. 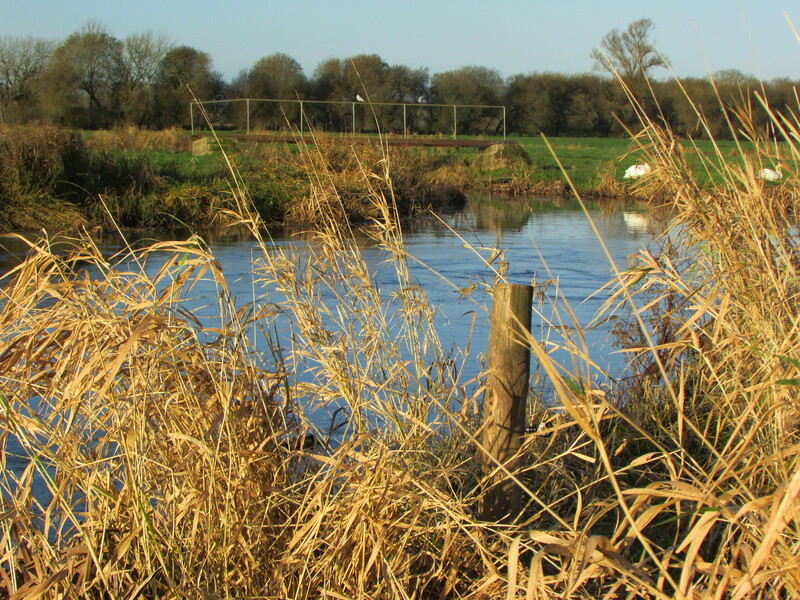 I always look forward to a day on the upper Hampshire Avon. It’s a beautiful, narrow and intimate river in its upper reaches. During the summer months the river is a colourful mix or fauna and flora and thick, flowing ranunculus dominates as it thrives on the gravels in such a vibrant and healthy environment. During the winter months the weed generally dies back and those magnificent gravel runs become accessible to the winter float enthusiast. With so many mouth-watering swims, runs and features to fish, you really do feel like a kid in a candy store. The depth varies throughout. There are numerous deep runs, a few deep depressions (cue Marvin from Hitchhiker’s Guide to the Galaxy!) and the usual mix of shallows and riffles. There are plenty of overhanging trees and bushes to offer sanctuary to the fish. So all in all we have a wonderful fishery for those cold winter days, when the ice sparkles on both grass and leaf. 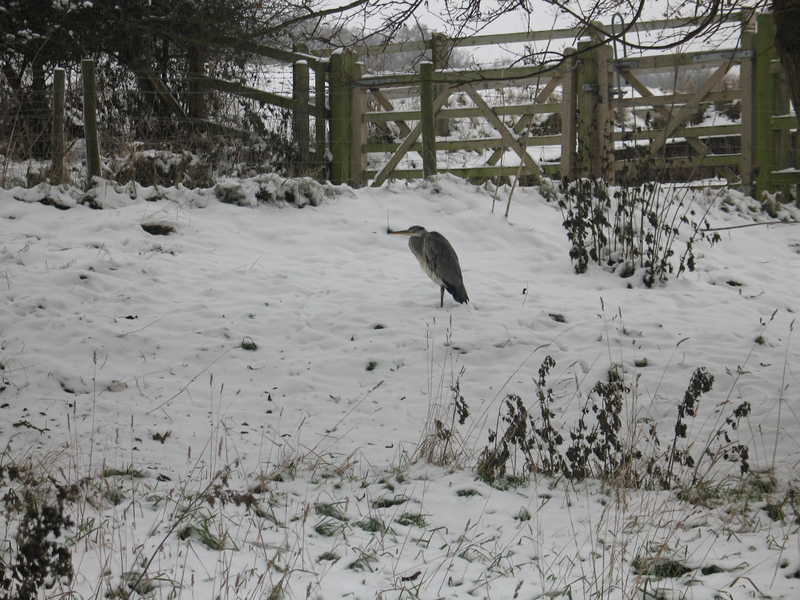 We had decided to target the river a little earlier than our usual visits. This has coincided with some decent rain of late and much milder temperatures. On arrival, we found the river had risen since Geoff visited here a few weeks ago, whilst visiting his daughter in Somerset. The water was also a little coloured. The weed was still prevalent and this made for some very difficult fishing. Had the water been a little clearer, Kevin and I could have seen the clear runs through the ween. Sadly this was not possible, so it was trial and error. Mainly error on my part, I might add! Kevin got off to a good start. He found a short run over some marginal ranunculus. After a couple of hours he had managed a few trout and grayling to over a pound. Meanwhile I was struggling to find a clear run. I did entice a couple of small trout to take the maggots and then bumped off a couple of fish, but overall was struggling. Added to this a couple of nightmare tangles around the internal workings of two centrepins, resulting in damaged line and thus resulting in a need to re-tackle, didn’t help things. So it was soon time for lunch and a change of plan. Kevin’s swim had gone quiet and so we both went for a wander. We re-visited a swim that I had tried earlier on in the day. Kevin’s Polaroids helped in spotting fish, mine were left at home somewhere. Throwing in small quantities of maggots soon had some nice fish boiling on the surface. Kevin ran his float through the middle of them time and time again, but the fish just didn’t want to know. Yet they continued to boil on the surface when the free bait was thrown in. Luckily I had worn my chest waders and so manged to wade in above the fish, which would enable me to hold the float back hard, as it passed through the feeding fish. I was sure this would illicit a few bites. I removed the dropper shot and moved the bulk shot up to the float. Maggots didn’t seem to work, so I tried a piece of corn. This produced a fish straight away. Then I bumped a couple off before managing another trout and then a grayling. The swim seemed to die after that. I tried a few more spots, taking another few fish here and there. Kevin’s catch rate had slowed down a little too. In the end Kevin went down to a 2lb hooklink and an 18 hook with a single maggot. Each trot had to coincide with 3 or 4 maggots being thrown in at the exact spot. Lots of very fast bites ensued, many of which couldn’t be hit. Kevin did manage a couple more fish before the light faded. I had already admitted defeat. I think I ended up with maybe 8 fish and Kevin about 15 I think. A tough day at what is normally a very prolific venue. We were lucky with the weather, despite the forecast and the dark, foreboding skies on our journey up. We enjoyed the day and the company (well on my part anyway) and look forward to returning once the hard winter frosts have taken care of the weed. 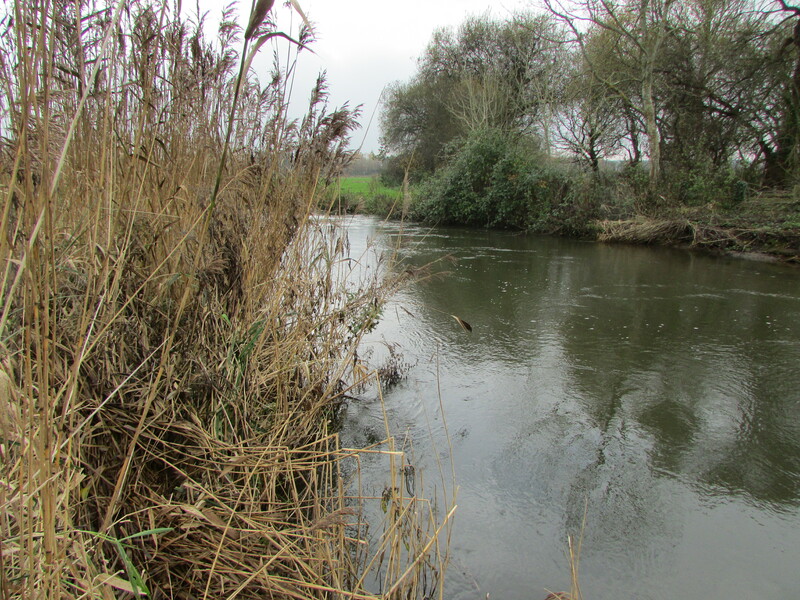 As the evenings draw mercilessly in and the frosts creep over the land, it’s time to hang up the barbel rods for a while and head to one of the countries great chalk streams, the Hampshire Avon. It’s a river shrouded in history and endless tales of mythical giants are regaled in the local hostelries. Still, today Geoff and I headed down through the Wallops to Britford. 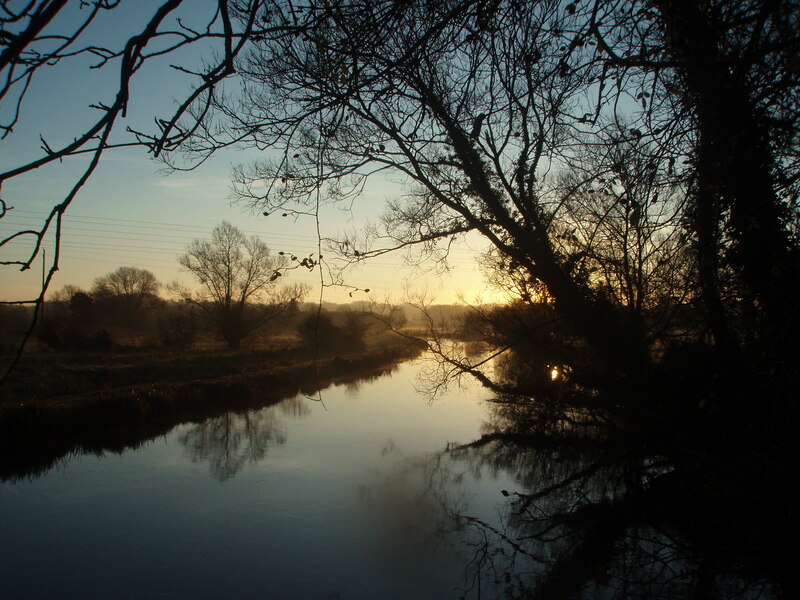 The river here lies in the shadows of Salisbury Cathedral, which gives it an almost hallowed feel and rightly so. For those that know of the Avon in this region, they will be aware of the treasures that it contains. Visit the river in the height of the summer, when the waters are gin clear and you’ll soon see why this river is so famous. With a little patience, discretion and some Polaroids you’ll soon be spotting huge roach and dace. 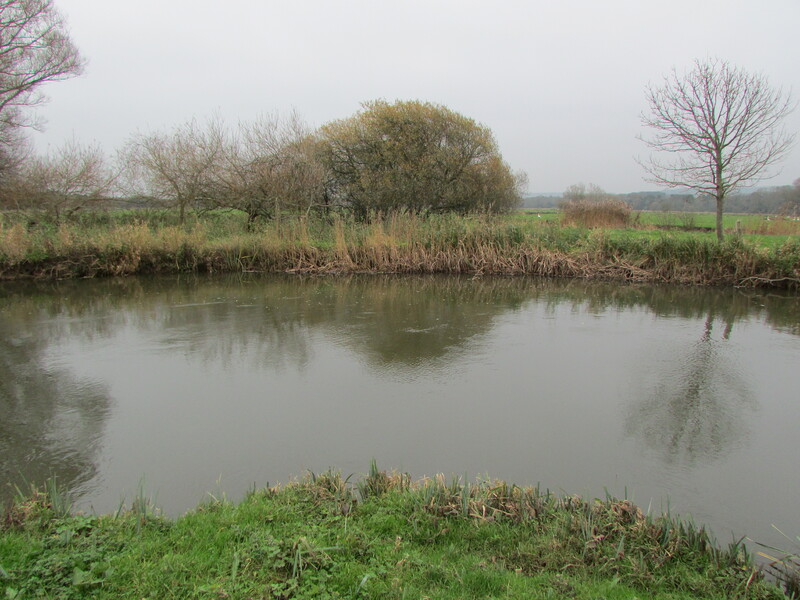 The old river also contains a healthy stock of grayling up to specimen sizes and with the odd decent chub, a few barbel and plenty of trout thrown in for good measure, it makes this quite a mixing pot. Two red maggots seemed to do the trick, on a very light float set-up. 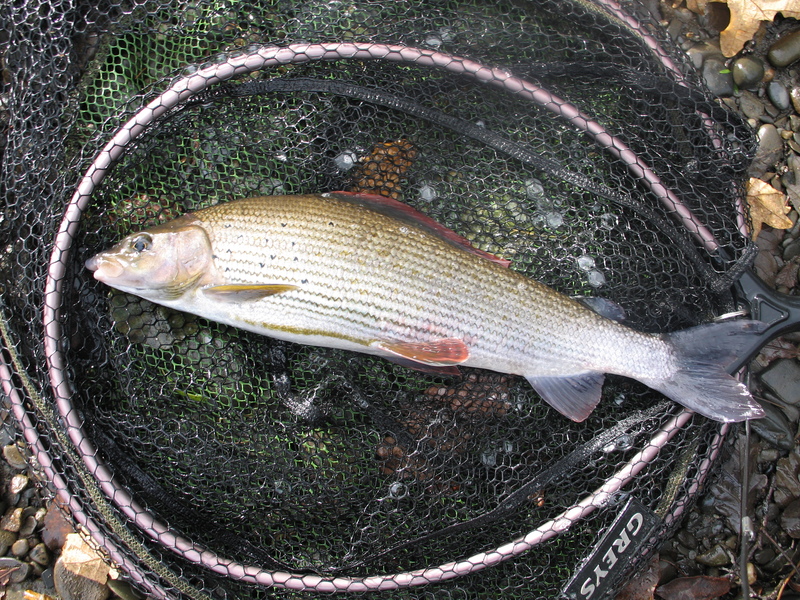 First up were a couple of nice grayling and shortly followed by some reasonable dace. Nothing big mind you. 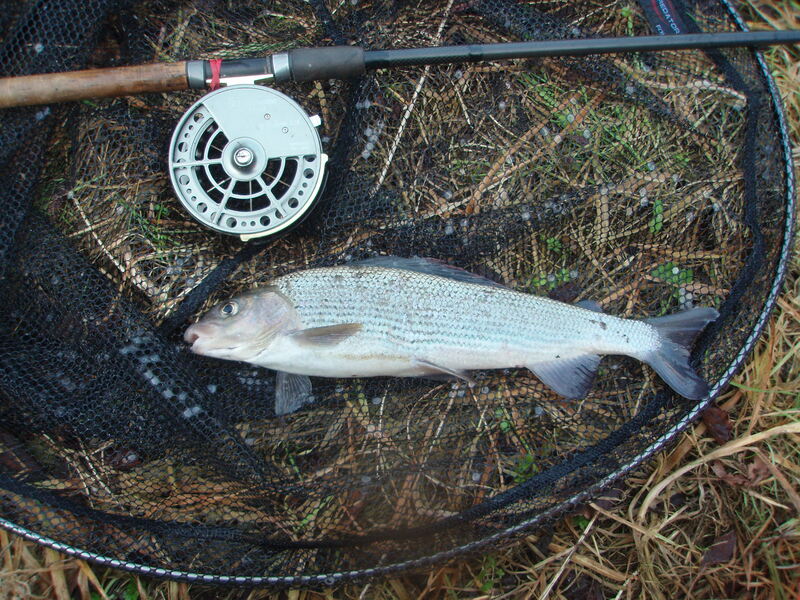 Grayling to about 10oz and dace to 5 or 6oz. By now they were coming thick and fast. Each new spot produced a few bites, before the inevitable presence of the minnows became known. Once they come every cast, I will move. As the sun started to sink below the horizon, I was getting a fish a cast. 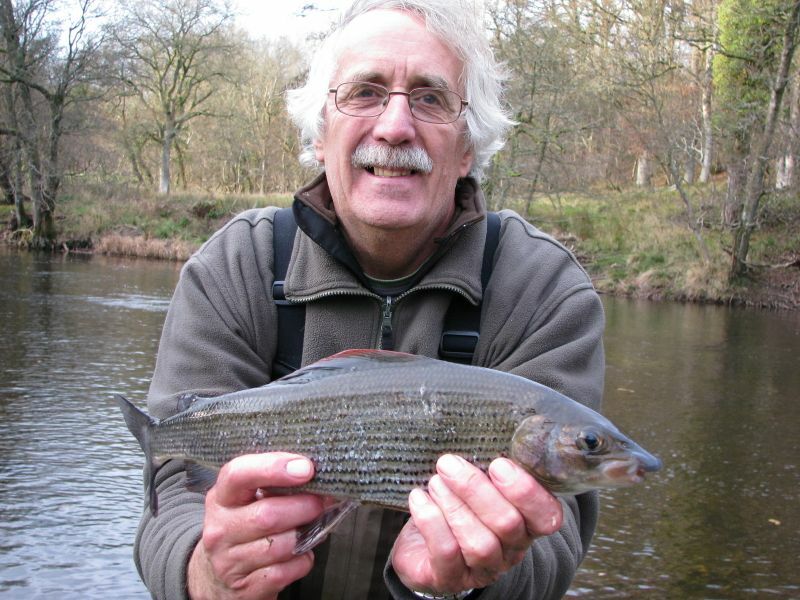 Another grayling and lots of nice dace. Still, eventually it was time to call it a day. I guess I ended up with around 30-40 dace, 7 grayling and that nice chub. Oh and fifty hundred minnows…..well that’s how it came out anyway.